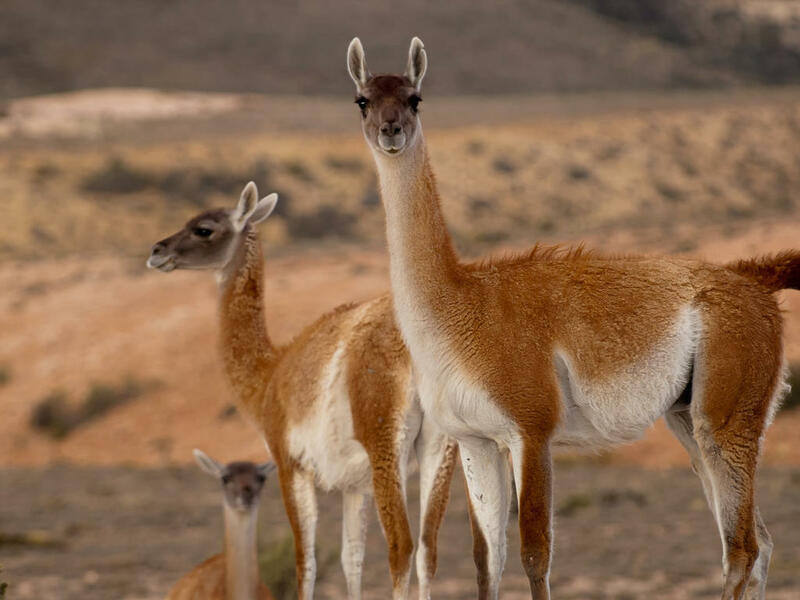 The world’s eighth-largest country, Argentina exerts a peculiar fascination. The birthplace of tango and Evita, the sheer diversity of its landscapes and cultures could fill many holidays. 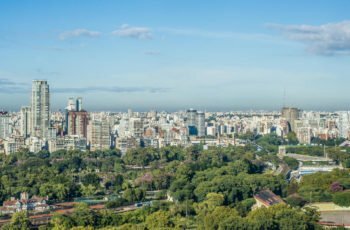 The capital city, Buenos Aires, is so effortlessly stylish that you’ll almost feel under-dressed, whatever you wear. Hang out in classic cafés or theatrical bookshops, and stroll along cobbled streets as you seek out the spirit of the world’s sexiest dance. 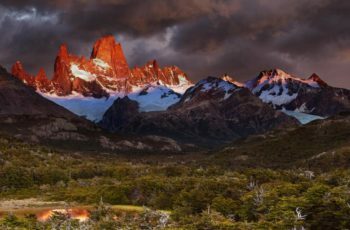 The hotter, drier north of the country boasts vibrantly colored rock formations and the impressive Iguassu Falls; a long, long way to the south lie the vast, empty stretches of Patagonia, overshadowed by the peaks of the Andes. Walk on desolate beaches where orcas pursue seals, witness glaciers collapsing, and enjoy a true nose-to-tail eating experience at an asado. Ride with gauchos (South America’s cowboys) or take a trip on the oldest subway on the continent. 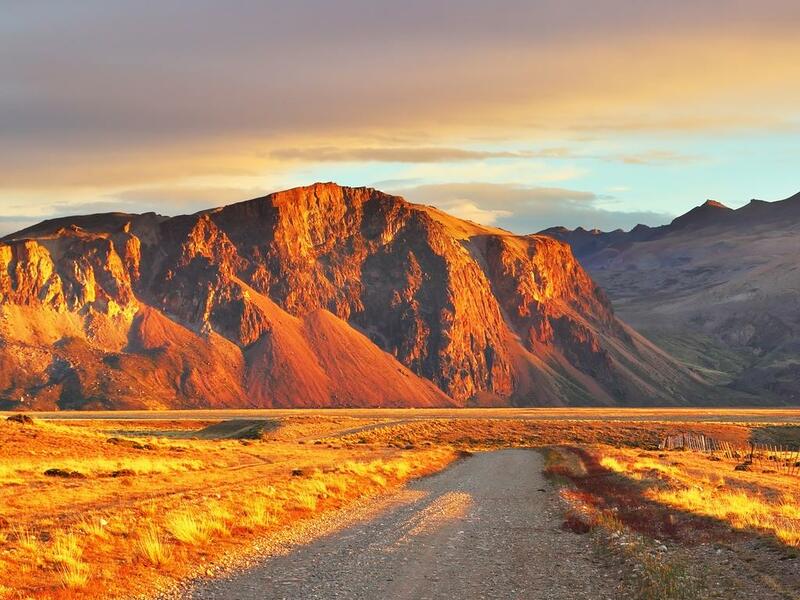 Argentina is a superb country for a road trip, and features several iconic routes. 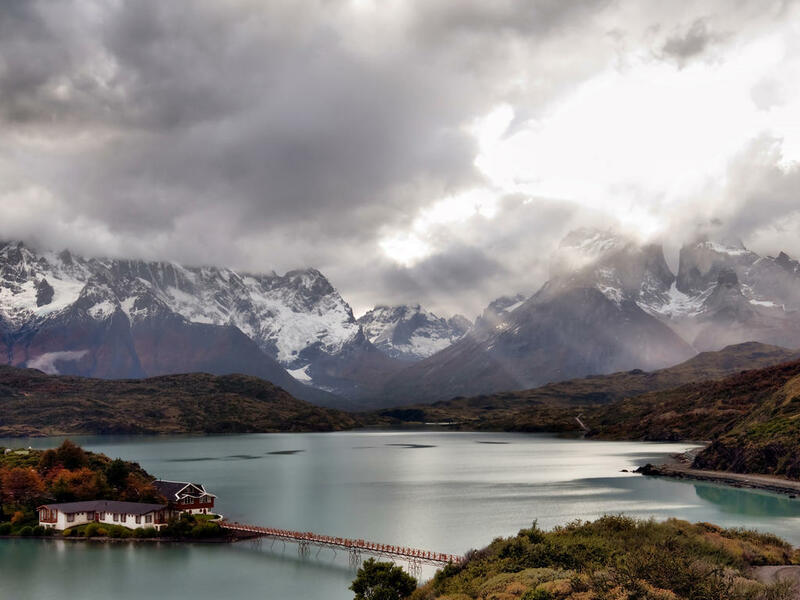 Patagonia’s windswept spaces provided a hiding place for Robert Redford and Paul Newman (or rather, Butch Cassidy and the Sundance Kid) and inspired Bruce Chatwin’s finest travel writing. From Ushuaia, the world’s most southerly city, the next stop is Antarctica. 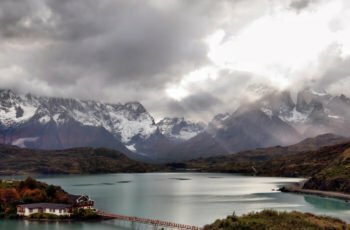 Ushuaia is situated on Tierra del Fuego, the land of fires, although the snow-capped mountains which surround it tell a tale of a different temperature. Argentinians are a justifiably proud people, and punch above their weight when it comes to polo and rugby. The national character is shaped equally by the urban sophistication of the capital, and the call of the wild that echoes through Patagonia. These are people with a real lust for life, and an apparent disdain for sleep. An afternoon snack sustains them until a late, late dinner – you’ll do well to find any restaurant that opens its doors before 9pm. It’s a place that inspires passion in everyone who visits – whether you experience it in the throb of the tango, or the thunder of thousands of soccer fans roaring on their team. In quieter moments, you’ll hear sounds that may surprise you: lilting Welsh and Irish accents in isolated villages, where the descendants of European settlers have kept languages and customs alive for generations. Towering over everything, the ghost of Evita, and South America’s tallest mountain, the 23 000-foot Aconcagua. 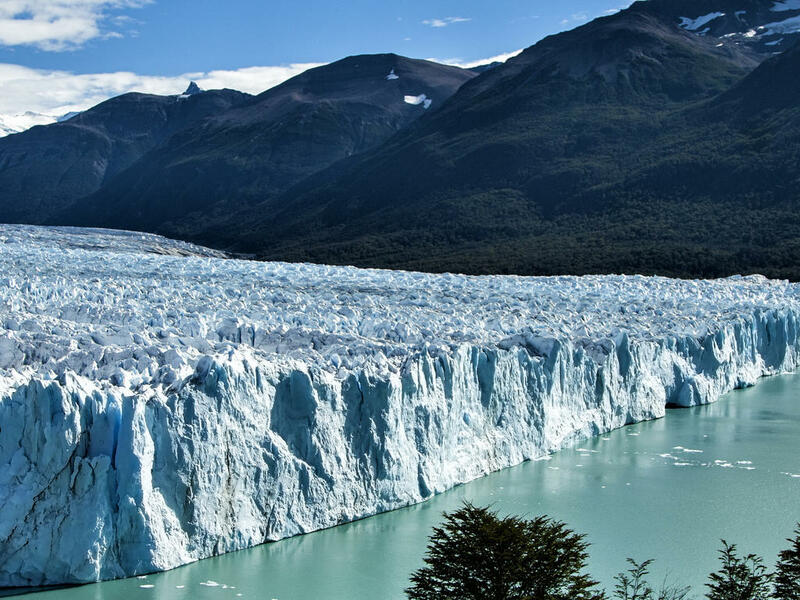 Many destinations become popular because of a single attraction, and in the case of El Calafate, the lure is ice. 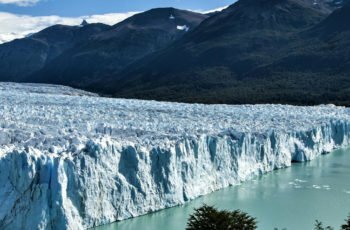 Not just any old frozen water, but immense glaciers moving inexorably downhill, and eventually tumbling into the clear, cold waters of Lago Argentino. Ushuaia is something of a contradiction in terms: a city in the middle of nowhere. Its fascinating history is intertwined with early attempts to explore Antarctica – you may hear the ghostly footsteps of long-gone sailors behind you. The official standard for plugs and sockets (outlets) in Argentina is the “Type I” IRAM-2073 which is practically interchangeable with the standards in Australia and China. However, many non-grounded sockets in Argentina are the “Type C” Europlug type. If your appliance’s plug doesn’t match the shape of these sockets, you will need one or more travel plug adapters in order to plug in. Travel plug adapters simply change the shape of your appliance’s plug to match whatever type of socket you need to plug into. If it is crucial to be able to plug in no matter what, bring an adapter for both types. Electrical sockets (outlets) in Argentina usually supply electricity at between 220 and 240 volts AC. If you’re plugging in an appliance that was built for 220-240 volt electrical input, or an appliance that is compatible with multiple voltages, then an adapter is all you need. But travel plug adapters do not change the voltage, so the electricity coming through the adapter will still be the same 220-240 volts the socket is supplying. If your appliance is not compatible with 220-240 volts, you will need a voltage converter. Peso (ARS; symbol AR$) = 100 centavos. Peso notes are in denominations of AR$100, 50, 20, 10, 5 and 2. Coins are in denominations of AR$5, 2 and 1, and in 50, 25, 10, 5 and 1 centavos. US Dollars are accepted in some hotels and tourist centres. Prices in US Dollars are typically marked with US$ to avoid confusion, but sometimes both peso and dollar prices are both preceded by just $, so check if unsure. Most major credit cards are accepted, but not as widely as in the US or Europe; even some major hotels do not have credit card facilities. ATMs are available in most cities and have options in English, but it is still best to carry alternative forms of payment as daily withdrawal limits are low and machines don’t always work. During national holidays ATMs can run out so it is wise to withdraw in advance. Foreign tourists who are not resident in Argentina can no longer pay for tourism-related services (air tickets, bus travel, hotel rooms, all-inclusive tours etc) in Pesos. These services must be paid for with foreign credit and bank cards, money transfers (in foreign currencies) from abroad, in cash with foreign money (eg US Dollars) or with cheques from foreign accounts. It is advised to bring traveller’s cheques in US Dollars; these can be exchanged at banks, bureaux de change and some hotels. However, it is often difficult to exchange these in the smaller towns. Tap water is generally considered safe in main cities and towns, especially in Buenos Aires, but otherwise bottled water is recommended. If bottled water is unavailable then boil water for over a minute before drinking. Argentina serves up an exceptional standard of food, although choices can often be restricted to meat, pasta and pizza. Buenos Aires, however, offers a wide selection of culinary genres, with Japanese, Thai and Asian-fusion food becoming increasingly popular. Vegetarians may struggle to find extensive veggie options, but most restaurants do serve vegetables and salads. Outside Buenos Aires, however, vegetarians may be faced with quite limited choices. Wherever you are in the country, meat is the name of the game here, and if you fancy broadening your carnivorous horizons, then there is a weird and wonderful array of meat treats to get stuck into. The traditional Argentine parrilla (grill) is the very heart and soul of Argentina’s cuisine. Sample morcilla (blood sausage), chinchulines (intestines), or simply go for a slab of prime Argentine beef – all sizzled to perfection. Don’t forget to liberally douse your chosen meats in delicious chimichurri – a sauce made from finely chopped parsley and oregano, garlic, olive oil and vinegar. Those after an authentic and reliably delicious meat experience in Buenos Aires, try El Trapiche in Palermo, and Desnivel in San Telmo. For breakfast, head to a traditional confitería (café) and sample a few medialunas (small, croissant-like pastries) and a strong café con leche. In cities, fashionable resto-bars (restaurant-bars) are taking hold, offering more contemporary takes on traditional Argentine cuisine, and all manner of lunch options. A strong Italian influence means quality ice cream is also popular, and in summertime Buenos Aires the many gelaterias (ice cream parlours) are certainly worth making use of. In the evening, Argentines dine late – 9pm is considered early – and the feasts are typically massive. Argentina’s wines have flooded the international market in recent years, and are famed for their quality and value. Try a light pinot noir from Patagonia or an inky and smooth Malbec, and don’t miss Argentina’s celebrated white, the aromatic Torrontés. Around 15% is acceptable in restaurants as well as bars (unless you were dissatisfied) which waiting staff rely on to survive. 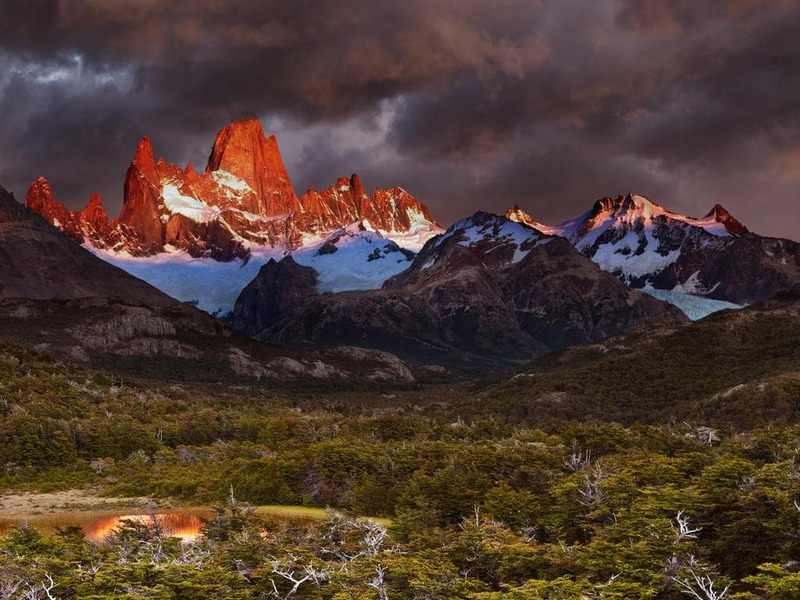 Argentina’s climate ranges from the great heat and extensive rains of the subtropical Chaco in the north, through to the pleasant climate of the central Pampas, and the sub-Antarctic cold of the Patagonian Sea in the south. The main central area is temperate, but can be very hot and humid during summer (December to February) and chilly in winter. 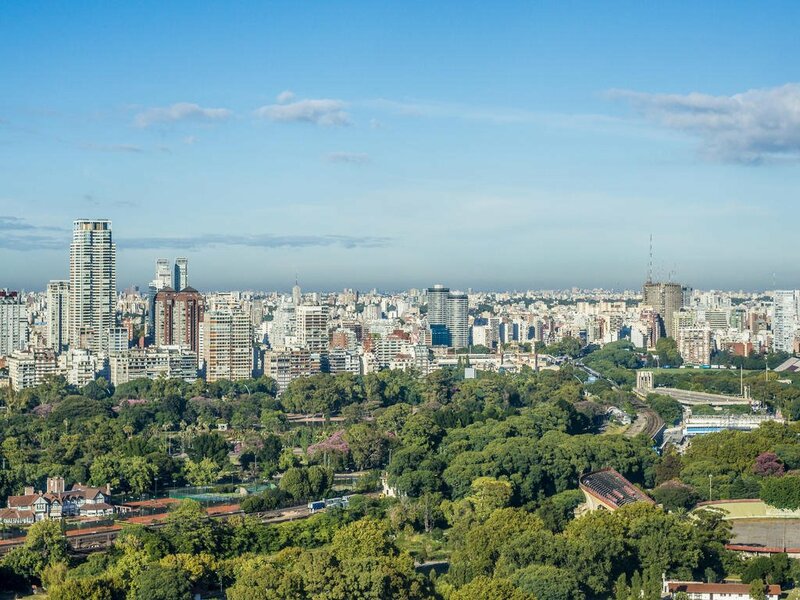 The most pleasant times to visit Buenos Aires are September-November and February- March. The city is best avoided in January, when the heat is at its most intense and many of its residents flee to the coast leaving behind a comparative ghost city. 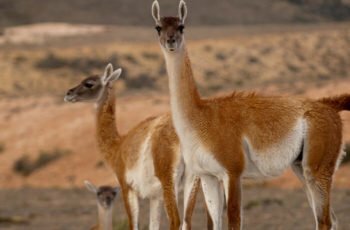 Exploring the wilds of Patagonia is best done in the late spring and summer months – between November and February – whilst the northern regions are at their most hospitable in the spring, autumn and winter. If heading to Argentina for a ski trip, hit the slopes during mid-June to October. Argentina is huge, making air travel the most practical way to get around. 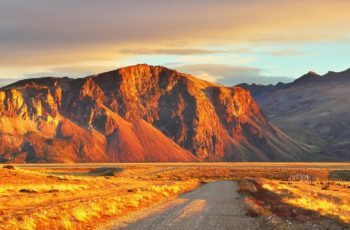 However, airlines in Argentina operate a two-tier pricing structure, which means that foreign travellers pay twice, or even three times as much, as locals. Many flights are inconveniently (and expensively) routed through Buenos Aires, and delays are frequent. Aerolíneas Argentinas (AR) (www.aerolineas.com.ar) serves many domestic destinations from its key hubs in Buenos Aires, Cordoba and Bariloche. The Visit Argentina Pass allows overseas visitors to buy reduced-fare coupons for flights within the country. These must be purchased in the visitor’s country of origin and are not available once in Argentina. Driving conditions in Argentina are a mixed bag. A 4×4 is recommended if venturing too far outside rural areas. When driving in cities keep windows closed and doors locked, especially when stopping at junctions. It is advisable that only confident drivers tackle Buenos Aires’ roads. Major roads are generally in good condition, although rural roads, composed of packed dirt, can become impassable after rain. The ‘A’ roads are the autopistas (motorways) and those labelled ‘R’ are rutas (roads) – tolls exist on all main roads. Visitors aged 21 or over may hire a car in Argentina. Car hire is available in most towns and cities, and many international companies operate out of Buenos Aires and main tourist destinations. The maximum speed limit on motorways is 130kph (80mph), 80kph (50mph) on one-lane roads, while the speed limit in built-up areas varies (40-60kph/25-37mph). The wearing of seatbelts is compulsory. Although in theory an international driver’s licence is required, in practice your driving licence from home is all that is needed, but must be carried with you while driving. Proof of vehicle ownership, proof of insurance and receipt for last tax payment must also be carried at all times whilst driving. Argentinians drive on the right side of the road. The Automóvil Club Argentino – ACA (tel: 0800 777 2894 in Argentina; www.aca.org.ar) offers breakdown cover and reciprocal benefits for members of motoring organisations in other countries. In Buenos Aires the safest option is to telephone a radio taxi; a reputable company is Radio Taxi Pidalo (tel: (011) 4956 1200). Taxis are readily available and can be hailed from the side of the road but make sure the meter is used. It is advisable to use recommended remises (taxis) – which can only be booked by telephone and have fixed prices. Passengers should enquire beforehand. Buenos Aires runs a cycle scheme. Register at www.mejorenbici.gob.ar for free, two-hour use of yellow city bikes. Buenos Aires is the only Argentine city with an underground train service, known as the Subte (www.subte.com.ar). The Subte has five lines and is generally clean, safe, fast and efficient. Subtepass tickets can be purchased at station entrances in denominations of one, two, five, 10 and 30 journeys. Overland urban trains also serve the capital city and its suburbs. Trains and trolleybuses operate in Argentina’s second city, Rosario. Colectivos (local buses) operate on main thoroughfares in all large towns and cities. Taxis are readily available and can be hailed from the side of the road but make sure the meter is used. It is advisable to use recommended remises (taxis) – which can only be booked by telephone and have fixed prices. Passengers should enquire beforehand. The government has pledged fund a new high-speed line linking Buenos Aires, Córdoba and Rosario, however these plans are currently on hold. For the time being at least, trains remain infrequent and slow-going. Several rail companies operate in Argentina, including Ferrobaires (tel: (011) 4304 0028;www.ferrobaires.gba.gov.ar), serving destinations such as Mar del Plata and Bahia Blanca. Trenes del Litoral (tel: (011) 4554 8018; www.trenesdellitoral.com.ar) operates between Buenos Aires and Posadas, linking many little towns in the provinces of Entre Rios and Corrientes. Though notoriously unreliable in terms of scheduling, El Tren a las Nubes (the Train to the Clouds) is running once again from Salta into the mountains in the north of the country, close to the Chilean border. The Argempass: Gives travellers unlimited first-class train travel, for either 30, 60, or 90 days. Obtained only at railway booking offices. Lightweight clothing is generally all that is required in the north, whereas warm clothes are certainly necessary in the south, up in the mountains and during winter months in the central area. It is sensible to carry waterproofs in all areas and bring a good sunscreen, sun hat, sunglasses and good walking shoes.